The QSOA Board of Directors welcomes Richard M. Cangro, Ph. D, to the Artistic Staff of the organization as our Youth Orchestra Conductor. Originally from Staten Island, NY, Dr. Cangro is an Associate Professor of Music Education at Western Illinois University. He began his 20+ year teaching career as a public school band and orchestra director in Connecticut, as well as a youth ensemble conductor and chamber music coach for the Hartt School Community Pre-college Division, University of Hartford. He also worked for 10 years as an assessor for the Connecticut State Board of Education beginning teacher licensure program. Dr. Cangro received a Bachelor of Music in Trumpet Performance from the Manhattan School of Music, a Master of Music Education from the Hartt School, and a Ph.D. in Music Education also from Hartt. With his dissertation focusing on applying cooperative learning strategies to instrumental music learning, Dr. Cangro continues to investigate the nature and effects of student interaction at all levels of music learning. Presently, he serves on the executive board for the International Association for the Study of Cooperation in Education (IASCE). Musically, Dr. Cangro has a wide range of performance experiences. He has performed on trumpet in orchestras, chamber groups, and as a soloist. This wide range of performance experience includes everything from performing in orchestras to Ringling Brothers and Barnum and Bailey Circus; playing in brass quintets to Dixieland jazz bands. All of these experiences deeply influence his understanding of various musical styles and enhance his ability to lead young musicians to be artistic performers. 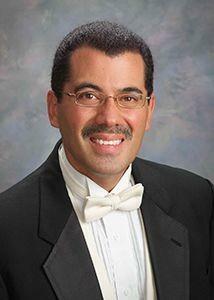 He performs with the Quincy Symphony and is a member of the Knox-Galesburg Symphony. Dr. Cangro is also active as a conductor with a broad range of experiences leading school ensembles, festival groups, and adult ensembles. He frequently conducts the IMEA District 4 junior orchestra and is currently the music director/conductor of the Monmouth Civic Orchestra. Dr. Cangro is active as a presenter, curriculum consultant, and adjudicator. He has presented for several school district in-services and at numerous music educator conferences throughout the country, as well as professional development engagements in Canada, Myanmar, Taiwan, and the UK. His articles on music learning and teaching have been published in UPDATE: Applications of Research in Music Education. American Music Teacher, Music Educators Journal, Illinois Music Educator, Kansas Music Review, Connecticut Music Education Association News, and the IASCE Newsletter. At WIU, Dr. Cangro teaches graduate and undergraduate courses in music education as well as directs the Community Music School, supervises student teachers, conducts the youth string orchestra, and advises the collegiate NAfME chapter. Dr. Cangro was the State Collegiate Chapter Advisor and has served on the Music Teacher Education advisory council for ILMEA.